There is not long now to wait before our meet up, we are very excited to welcome you all to our splendid Florence. First of all we would like to apologise for our lack of information regarding the transfers and the schedule in the time that we had planned. As mentioned on our website there are many road works in progress, as you will be able to see for yourselves, the work on the new tramway which has changed the viability and direction of the roads and as a consequence delayed all the programs we had made. As you can well imagine all of this has created enormous problems. Unfortunately this does not depend on us, but we would like to reassure you that we are doing everything possible to clarify this situation with the local government and the transfer routes will definitely be advised before your arrival. Would you please kindly check our website regularly for this update. As is normal for all sporting and non sporting events, the very first thing to do for all participants is to register themselves and be issued with their ID CARD. At the Registration you will also get your race packs. In order to be able to participate in any of the activities offered by the Festival it will be necessary to show your ID CARDS, which you must have with you at all times. There will be no access to any of the activities of the Festival for those people who have not registered as a paticipant of the Festival. Registration will be held on the ground floor of Palazzo Vecchio in the Sala d’Arme from Tuesday July the 3rd to Thursday July the 5th from 10 a.m. until 6 p.m. The above 3 groups of documents must be delivered in order of the personal ID code of each participant. Your co-operation with this process will be truly appreciated. We would like to remind you that anyone who does not have a valid medical certificate (not legible, or properly filled out and signed) will not be able to race. The Organising Committee has decided to give participants with invalid health certificate the opportunity of registering as supporters so that they do not loose their paid up registration fee but above all to give them the chance of participating in the Festival. – REGISTRATION DESK for registering everyone, where the team leader will hand over all the documents, accompanied by a maximum of 2 people inside the sala d’arme. Outside the building the others can be waiting to pick up their race packs. We ask your co-operation in this so that we avoid confusion inside the registration room. – PENDING REGISTRATION DESK, in the case of outstanding funds or reimbursements you will be directed to this desk, in the case of money due you will be able to pay in cash or with a bankers card. ONLY AFTER PAYING ALL OUTSTANDING AMOUNTS WILL YOU BE ABLE TO REGISTER THE ENTIRE TEAM. – MERCHANDISING DESK, Exposition only. As outlined on our website you can pick up the products purchased online at the race venue on the 7th and 8th of July at MERCHANDISING booth, of course you can also buy there the products. – PONTE VECCHIO EXPERIENCE – this is exclusively for the teams which have the right to this experience. Here you can complete your booking by paying the amount established. – ACCOMMODATION DESK for those people who have booked their accomodation through ENIC. – TRANSFER DESK where you will have access to the transfer system. Everyone who has not booked through ENIC will have to go to the transfer meeting point. COMPOSITE TEAMS: you will find the crews lists and their training sessions times scheduled on July the 6th inside each Team account on the left column. As you will know the laws regarding public security have intensified due to the various events over the past years making security measures much stricter, which force us to comply with regulations for all the occupied areas. In order to carry out every phase of the manifestation in the best possible way, we really need your co-operation and patience. All of the areas occupied by the participants must be cordoned off, the entrance to the said area will be controlled by qualified security personnel and each participant will gain access by showing their ID Card. This meeting will serve to explain in detail the way in which the races will take place, the steers and team leaders are warmly encouraged to attend this meeting to ensure the smooth execution of the races. Everyone must show their ID card in order to gain entrance. The Race Heat Schedule will be available at the end of this meeting. We kindly ask you to be at the meeting point in Piazza Pitti well in time so that you gain entry in the area set aside for us by showing your ID CARD , take your position in a swift and orderly manner behind your Nation’s flag. The teams will be lined up by nationality inside the area and in alphabetical order by team. Each team should bring the banner with its name which will be given to the team at Palazzo Vecchio at the Registration. At 5.30 pm the speaker will begin to call the Nations and the Pink Parade will begin the procession in the heart of Florence passing over the Ponte Vecchio and the Arno to reach Piazza Signoria. You will be assisted in this parade by your Ambasssadors and volunteers. The teams will be able to gain access to the destined area by showing their ID card to the security personnel. There will be only one entrance so we kindly ask you to have your ID Card around your neck, to facilitate identification. Unfortunately for security reasons it is not possible to bring seating for everyone therefore we have reserved a small space for people who need to sit or that have disabilities. We invite those people who have problems walking or particular needs not to participate in the Pink Parade but to come directly to Piazza Signoria where they will find seating. Only those people who are registered and are inside the village are able to attend this ceremony . After the ceremony there will be an aperitif party where we will eat and drink together before saying our goodbyes. There are no reserved parking lots in the area of the athlete’s village and anyone coming by car to the race venue will not be able to park in the area near to the village but should park on the other side of the river in an area called Isolotto. The tents reserved for the teams do not have locked cupboards, there will be a table and some chairs for each gazebo. The teams can decorate the gazebo as is normal for the IBCPC Festval. During the event there will be two types of races: BCS team races, and supporter races. No two boats from the same club will be assigned to the same heat in round #1. Boats in round #4 will be grouped according to their fastest finish times from rounds #1,2 and 3. Those teams that did not have a time posted from a previous round(s) due to non-completion of the round will be assigned subsequent heats/rounds using a time that is slower than the slowest time registered by all the other teams. Access to the village is possible from th 4th of July and only to those people in possession of their ID card. Duplicates of the ID Card will not be released so please keep yours safe. All communications will be made over the loud speakers and only in English. Please pay attention to these announcements. For all help needed there will be an info point in the center of the village. During the practise sessions and the races it is obligatory to wear a life jacket. In the area where the boats are, there will be life jackets and paddles for those people who need them. All the items taken on loan must be replaced immediately after use, to the same place they were taken from. Each landing stage has two ramps, one for getting into the boats and the other for the descent. For the embarkation and disembarkation on the landing stage the crews must embark one at a time, therefore the embarking crew can only go onto the landing stage once the exiting crew has completely left the platform. In any case access to the landing stage is regulated by appointed personnel. The races will be held in a sequence of one every 8 minutes. The call to boat marshalling will be made by the number of the race. Each team will be able to see this on the race program which will be given out at the info point. The access to boat marshalling in the embarking area is reserved exclusively to the team called on the loud speakers. All the participants of the race called must go to the boat marshalling with their ID cards, these will be taken into custody by the personnel who are on duty at the embarkation. Once the control has been effected and following the indications given by the personnel on duty the participants must go to the landing stage corresponding to the lane of the assigned race. When the starting judge calls the crew for the beginning of the race they must go to the lane which has been assigned to them, by the side of the landing stage. The number of the lane is on that landing stage. Once the race is over each crew must go to the landing stage from which it has departed, specifically the one with the race lane number which has been assigned to it. The landing stage must be approached in the same direction as the race. To find lots of useful information – this booklet has been prepared for you by the American International League of Florence Onlus (AILO) to help you during your stay in Florence. AILO is responsible for your team of Ambassadors. We thank you in advance for following all the indications given, your co-operation is essential to the successful outcome of our Festival and that everything goes according to plan. Here is Bulletin No.4 with just a few updates in light of the fast-approaching deadline of 31 May 2017; this is the date that will close the EARLY BIRD registrations with the payments due from those teams that successfully registered under the Early Bird scheme last October. Teams are able to check their registration payment status under their Team Account in the “PAYMENTS SUMMARY” section. Each team registered under the Early Bird scheme, however, will receive or has already received a summary e-mail from the Organizing Committee with the balance amount to be paid in order to complete the Early Bird Registrations. This amount payable takes into consideration any unpaid bank charges that accrued when the initial funds were received. The e-mail also includes the text that should be used in the “Note” section of the bank wire that will identify the payment to us. Please communicate to your local bank that the international bank wire transfer should be effected as “OUR”; this means that all charges taken by the local bank, by the bank receiving the wire (the Festival bank) and all intermediary banks must be taken from, and paid for, by the sender’s account. Please remember that all payments must be made ONLY by bank wire in EUROS and with the IBAN code that will be given in the Welcome e-mail after the online registration and is provided on the team account in the PAYMENT SUMMARY section. Please refer to Bulletin No. 3 for the payment methods and procedures. We would also like to remind you that every complete crew must be made up of 20 BCS paddlers, 1 BCS steer and 1 BCS drummer. Teams established less than 2 years prior to the date of the Festival will not be required to have their own steer. The Organizing Committee, from a special pool we are creating, will provide steers and drummers for the composite teams. Please keep in mind that if a team consists of less than 22 paddlers, including steer-person and drummer, when the balance of the payment is due, the team will lose the discounted price of €50 per person and the team will be included in the category of Individual teams without full crews, therefore the standard registration (€.300 per person) will have to be paid. For further details, refer to Bulletin No. 2. Regarding the registration of SUPPORTERS (paddlers and non-paddlers): remember that the registration is exactly the same as the registration for the BCS paddlers. The registration fee for SUPPORTERS is also euro 300 per person. We remind you that SUPPORTER registration can take place at the same time as the team registration. For further details, see Bulletin No. 3. It is important to note when thinking about whether to register supporters or not, that only accredited participants (paddlers and supporters) will have the chance to view the races from the athletes’ village, and will have access to the race site and all the services provided by the registration fee. (See the Bulletin No.2). For the Festival SOUVENIR BOOK, which will be in the race pack, we need your help. We ask all teams to send us their own team presentation (no more than 10 lines) with photo and possibly a logo, both to be in high resolution. The material must be sent to info@florencebcs2018.org by September 25, 2017. We would like to thank you for your kind cooperation, if you have any questions, please contact us at info@florencebcs218.org. We were absolutely thrilled by the success of the Early Bird registrations, in just a few days all of the Early Bird slots were taken. This surprised and surpassed our highest expectations. It was fantastic to see the enthusiasm from Pink Ladies all over the world. When registrations re-open in January 2017, we are sure there will be an equally enthusiastic response. Following in the IBCPC tradition of previous festivals, we want to reiterate that the Festival is an international event that is not a competitive event, but rather is an event that celebrates those who have had a diagnosis of breast cancer. This is a participatory event, everyone receives a medal, and everyone is a winner. Currently, 61 teams have requested an account, 52 teams have successfully registered, but only 47 of these were eligible for the Early Bird discounts. The registered teams are from the USA, CANADA, AUSTRALIA, NEW ZEALAND, GREAT BRITAIN, IRELAND and ITALY. Registration is temporarily closed while we verify and account for all the payments received to date. In addition to the 61 teams above there are already another 26 teams waiting for registration guidelines that will be sent in January. PLEASE ensure you secure your place by registering as soon as you can after registration re-opens on January 2017. The Standard Registration will be open until 30 June 2017, unless all the slots available expire before then, as happened for the Early Bird Registration. Once we reach the total number of 120 teams registered to participate in the Festival, any further team registrations will be at the discretion of the Organizing Committee. 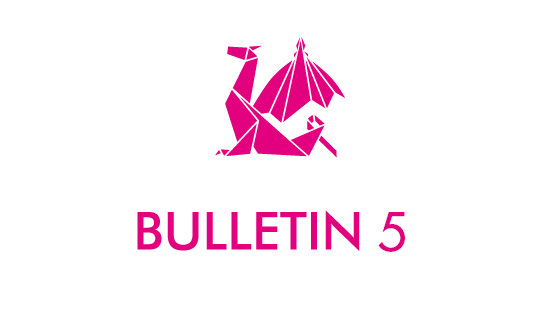 PLEASE NOTE: Bulletin no. 2 information of the opening date for STANDARD REGISTRATION (€ 300 per person) has been CHANGED. STANDARD registration will open on Friday 20 January 2017. All registration information must be input using the online platform. Access to the registration platform should be requested in the REGISTRATION section. Please follow the instructions in Bulletins no. 1 & Bulletins no. 2 in addition to the online registration pages. The details of the Standard registration can be found in Bulletin no.2 point 3. As was done during Early Bird registration, SUPPORTER (paddlers and non-paddlers) registrations can be made at the same time as a team registration, with a €100 down payment for each Supporter. Once all the slots for teams have been filled through registration, non-paddler supporters can be registered, as per Bulletin no. 2 point 3. There will be a Supporter’s race with crews formed exclusively by non-breast cancer paddling supporters. Once registration re-opens in January there will be a facsimile health certificate under the REGISTRATION section. This certificate will also need to be completed in order to register as “Paddling Supporter”. Please keep in mind that full payment of the registration fee (after registration and receipt of the down payment) is 30 November 2017. After this date, any unpaid registrations will forfeit the down payment and participation in the Festival. The names of all participants for whom a down payment has been made must be input by 30 November 2017. The health certificates for all paddlers (Paddler and Paddling Supporter) must be completed and submitted by the same date. ONLY after you have uploaded the health certificate, will you be able to register participants as Paddlers and Paddling Supporter. Please remember that you have to input the names into the website program and NOT in e-mail communications. Templates one for the health certificate, and one for the waiver of legal responsibility and the permission to use images can be downloaded from the Festival website under the REGISTRATION section beginning 20 January 2017. The final deadline for submitting these documents is 30 November 2017. If not received by this date, the registration will be cancelled and the down payment will be forfeited. The health certificate is mandatory under Italian law for paddling participants. Please note that it certifies the overall good health of the individual and it is valid for one year therefore you should submit it after 8 July 2017. The certificate must be correctly filled in and signed by a licensed medical doctor/physician. Every participant will be individually responsible for his/her health conditions. Many of the Early Bird-registered teams did not include bank charges, fees and expenses in their bank wires. This is probably because their local banks did not indicate or know to charge ALL fees and expenses to the sender account. In order to avoid this difficulty for the next rounds of registrations, please communicate to your local bank that the international bank wire transfer should be effected as “OUR”; this means that all charges taken by the local bank, by the bank receiving the wire (the Festival bank) and all intermediary banks must be taken from and paid for by the sender account. Please remember that all payments must be made ONLY by bank wire in EUROS and with the IBAN code that will be given in the Welcome e-mail after the online registration. Please follow the instructions for the bank wires and include in the NOTE section of the wire instructions: “Team USER code, number of paddlers, number of supporters”. These are the ONLY instructions that should be in the wire Note. Please do NOT put in the names of the individuals who are making the wire transfer and do not write long notes. The only information we can use to identify your payments and to ensure that your registration has been accepted is the information requested above. Registrations will be complete and finalized ONLY after the Organizing Committee receives in the Festival bank account the down payment. Usually, an international bank wire transfer takes 4 to 5 working days. Remember please that your registration status can be seen in the section Payment summary of your team’s account. You will not receive a specific e-mail regarding your payment. Please refer to your Team Area information on the website. 3) REGISTRATION procedures can be found in Bulletin no. 2 point 6. IMPORTANT: We would also like to stress that all communications will be sent ONLY to the main team e-mail contact. Consequently, each team should please check the first page when you request an account that the main team e-mail is the one you want communications sent to. You can modify the main team e-mail address if you want. If you do not make any modifications to the e-mail shown on the screen at the time of account set-up, this will confirm your use of the main team e-mail as it appears. When the team account is first set-up, the team can modify any of the information found on the team account page. Subsequent modifications to this main team e-mail address after registration can only be done by contacting: info@florencebcs2018.org, with the Team USER code and the name of the team in the Subject line of the e-mail. The teams must provide the names of all the participants online (NOT by e-mail) and fully pay the outstanding registration fees by 30 November 2017. As stated above, any team that has not paid in full by 30 November 2017 will be cancelled from the Festival entries and will forfeit the down payment. After 30 November 2017 and before 15 May 2018 any person who withdraws from participation in the Festival may be substituted by a teammate without any additional costs, and the participant personal data should be modified directly on the team account of the registration system. After 15 May 2018, any participant changes will be charged an administrative fee of Euros 20 for each change. If a participant withdraws and cannot find a substitute (among team members or supporters), he/she will forfeit the entire registration fee. Florence is one of the most popular tourist destinations in the world; consequently, there is a very large choice of hotels (all categories) available. Accommodation listings will be available in January 2017. Any accommodation and tourist service that you may need can be made using our travel agent partner who is working with the Festival team in order to provide the best deals and the highest quality of comfort to the participants of the Festival. More information will be found in the TOURISM section of the Festival website from January 2017. Don’t miss this opportunity to book the best offers reserved for Festival participants. PADDLES UP and get ready for January because many teams want to take the slots for the last available crews! Please make sure you lock-in your place by registering as soon as you can. For any question please write to: info@florencebcs2018.org, with the team USER code and the team name in the Subject line. 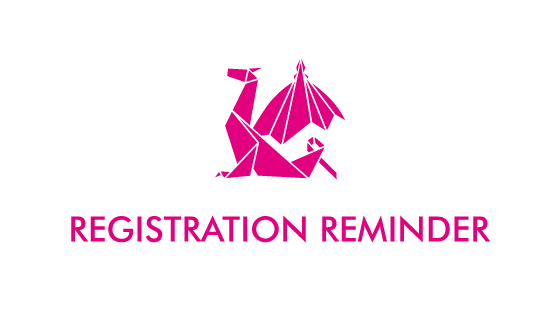 Registration is just around the corner…. 1 October 2016 online registration opens and the Festival dates are announced! The Organizing Committee reminds you that all the information for participating in the Festival and the registration must be done through the online platform. This can be accessed after you have signed up on www.florencebcs2018.org area REGISTRATION. A. Early Bird registration is €.250 per person and Standard Registration is €.300 per person. B. A team’s registration down payment is based on 22 persons (20 paddlers and 1 steer-person and 1 drummer) on the team’s roster. C. Both registrations down payments are €.2.200. D. The total fee due (detail below) for Early Bird is a minimum of €.5.500 based on 22 persons. The total fee due (detail below) for Standard Registration (non early bird rate) is a minimum of €.6.600. E. Supporters are also eligible for Early Bird Registration as long as they belong to a team with a complete crew (20 paddlers and 1 steer-person and 1 drummer). Only over-eighteen supporters may participate in the races reserved for supporters. 1 October 2016 – 31 December 2016: EARLY BIRD REGISTRATION (discounted fee of €.250 per person (minimum 22 paddlers, including steer-person and drummer). During the Early Bird period, teams can register at €.250 per person, a discount of €.50 off the standard fee of €.300. A non-refundable down payment of €.100 per person (with a minimum of €.2,200 down payment each team) must be made at time of registration. This discounted rate is only valid until 1,231 persons have registered or 31 December 2016, whichever comes first. The team will be registered for the event once the full down payment is received. The deadline for payment of the Early Bird balance is 31 May 2017. When the balance of the payment is due and a team consists of less than 22 paddlers, including steer-person and drummer, they will lose the discounted price of €.50 per person and will be included in the category of Individual teams without full crews (please see below), therefore the standard registration (€.300 per person) will have to be paid. A) When the balance is due and a team is not able to reach 22 paddlers as they have only reached say 16 paddlers, and have paid €.2.200 as a deposit, they will have a higher balance to pay at €.2.600. B) When the balance is due and a team is not able to reach 22 paddlers and have only 6 paddlers, they will have paid €.2.200 as a deposit, their balance will be €.0 and they lose the down payment of €.400. C) When the balance is due and a team is not able to reach 22 paddlers as they have only reached say 16 paddlers and then they add 6 supporters, and they have paid €.2.200 as a deposit, they will have a higher balance to pay at €.4.400. Should a team desire to register more than 26 paddlers, including steer-person and drummer, the additional team-participants will be allocated to help fill the mixed crews therefore they benefit from the discounted fee of Early Bird Registration. 1 January 2017 – 30 June 2017: STANDARD REGISTRATION (€ 300 per person). During the Standard registration period, the non-refundable down payment is € 100 per person (with a minimum of € 2,200 down payment each team) until the maximum number of crews is reached (120 crews). The team will be registered for the event once the full down payment is received. 1 January 2017 – 30 June 2017: REGISTRATION FEE FOR INDIVIDUALS FROM TEAMS WITHOUT FULL CREWS (€ 300 per person). It is possible for individuals without complete crews to register by paying a non-refundable down payment of €100 per person, and pay the outstanding balance by 30 November 2017. Please remind each participant that they must be a member of an IBCPC affiliated team even if that person is registering as a single participant. When the full registration of 120 crews has been reached it will be possible for supporters to register. 30 November 2017: deadline for paying the balances of the registration fee. All the names of the participants should be input by this deadline. Non-payment of outstanding registration fees after this date will result in forfeiture of registration and the down payment. 1 July 2017 – 31 January 2018: it is possible to complete teams or register new ones (if spaces remain) at € 300 per person, until all slots are taken. 1 February 2018 – 1 April 2018: it is possible to complete teams, or register new ones (if spaces remain) at € 350 per person, until all slots are taken. After 2 April 2018, at the discretion of the Organizing Committee, it will be possible to register for non paddling people at €.350 per person (due to late registration it will NOT be possible to include the race package, medal and Festival 2018 T-shirt). Note: participants under 14 years of age (born after 2003) can register at a lower price, a fixed price of €.180, but they will not receive the souvenir bag. Participants under 3 years ago (born after 2014) can register for free entrance. – All payments must be made only by bank wire using the IBAN and/or SWIFT codes, which will be sent to each team after online registration. The bank wire should contain the team username that will be supplied by the registration system in the NOTATION section of the bank wire. -Any transfer fees and fees associated with deposit of the funds must be paid for entirely by the team. The amount that is effectively credited to the Organizing Committee’s bank will represent the amount paid by the team. Sunday: races, Sandy Smith Global Race, Flower Ceremony, Closing ceremony and aperitivo party! Registration is carried out only on the Festival website. There are two different paths to registration: teams already IBCPC members and teams who need to join IBCPC. 1. Follow the instructions for “IBCPC member teams”. Choose the country and the team name and then fill in the form with all the required information. By filling out the form and submitting the request, the team will receive an e-mail that confirms receipt of the request. 2. The Organizing Committee will verify the completeness of the request and the team will receive via e-mail the information to sign into the registration system. 1. Follow the instructions for “teams not yet IBCPC members”. Choose the country and then fill in the form with all the required information. By filling out the form and submitting the request for membership, the team will receive an e-mail that confirms the forwarding of the request with instructions for paying the IBCPC membership fee ($100). 2. Once the membership fee is paid, IBCPC staff will verify the completeness of the request and the team will receive the information to sign into the registration system via e-mail. 3. The registration fee down payment must be paid by bank wire, indicating the username assigned in the credential e-mail. The fees will not be able to be paid before receiving the username. 4. Once the down payment is received and registered by the Organizing Committee, the teams can continue with the preliminary registration for the Festival with the number of crews reflected in the down payment paid (one team every €2,200). During this step, the number of the participants available for mixed teams should not be indicated. 8) TEAM PHOTOGRAPHS and DESCRIPTIONS: All teams must provide their team photo and the description of the team for the Festival Programme. 9) PADDLES and FLOATION VESTS: Available for those participants who travel without paddles and/or vests. 5) Each team must consist of a minimum of 22 individuals, including drummer and steers person (sweep), and a maximum of 26 participants. Any additional participants, or non-complete teams, will be inserted into the mixed team category. Drummers and steers persons (sweeps) can be available to the mixed teams. The races are in 20-person dragon boats over a 500-meter course. On-line registration will be open on the 1st of October, 2016. All participation questions, preliminary registrations and participant registrations must be done exclusively through the Festival website. Registration is (euros) €300 per person. There is a non-refundable initial payment of (euros) €100 per person, with a minimum initial payment of (euros) €2.200 per team. The team is registered for the Festival at the moment the full initial registration payment of €2.200 is received. There is a discount of (euros) €50 per person for the first teams that register, up to a total limit of 1,231 participants (paddlers and supporters).